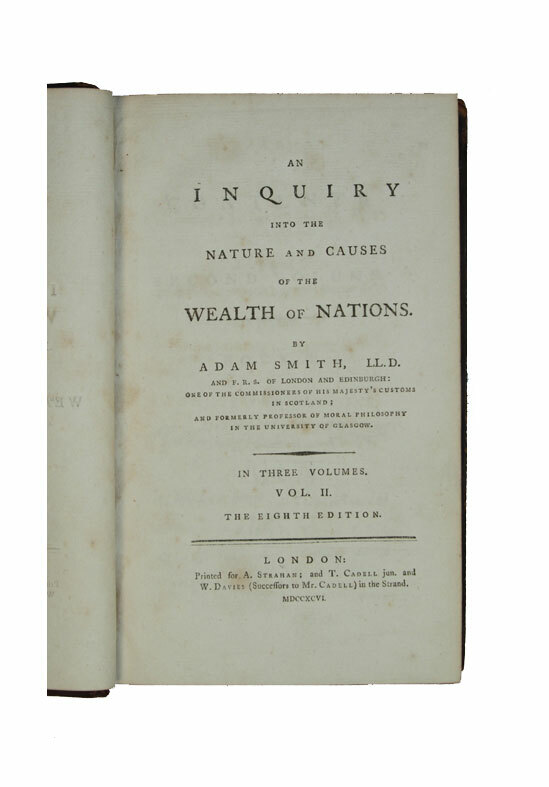 An Inquiry Into The Nature & Causes of the Wealth of Nations - Volume 2 - IFA Vintage and Current Book Library - Index Fund Advisors, Inc. Author: Adam Smith, L.L.D. F.R.S. 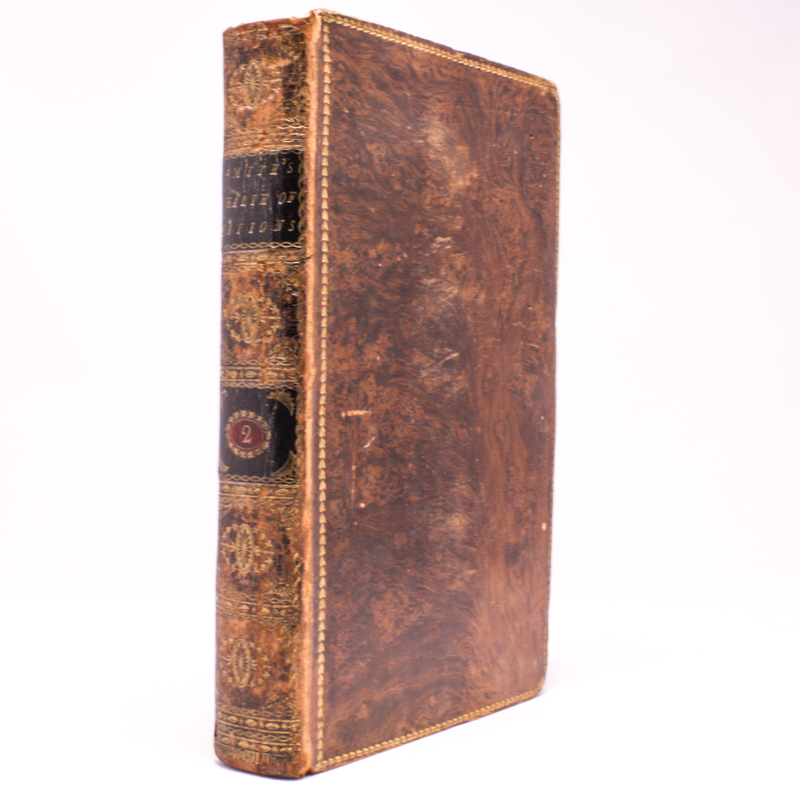 Notes: All three volumes are in good condition with rubbing especially to hinges and head and tail of spine. Volume one has some leather loss on front hinge. Gorgeous tree calf bindings have held up quite well all things considered. Books have been paginated and are complete. 499 pg, 518 pgs plus index, 465 pgs with a large index. Half titles and blanks all present as well.